The Senate of the University of Medicine, Pharmacy, Sciences and Technology of Marosvásárhely/Târgu Mureș decided to start an English speaking faculty on Thuesday – confirmed Prof. Béla Szabó, the leader of the University’s Hungarian Department. This means that the Hungarian language training – operating for 74 years – does not deserve the same operational autonomy, what the English language training – founded only 10 years ago- will do. Marosvásárhely has the largest Hungarian community in Transylvania: 57 000 Hungarians live here, giving 43% of the town’s population. Prof. Szabó also added that they were informed about the fact – that the University Senate decided to ask the Ministry to approve an English faculty – from their Romanian colleagues, because as a protest against the discriminatory operation method of the University leadership, they have been boycotting the board meetings since last October. Another Hungarian Professor, Imre Benedek found it unjust that the University Board has been resisting for many years their request to organize the Hungarian language training under a separate faculty, while the very same conditions for the English language training are being approved now. They insist on having a separate faculty is it would mean a certain level of independence within the institution. “Even though the University was founded for the Hungarian residents by a royal decree, it is clear that in today’s globalized world it cannot operate only as a Hungarian speaking University. But the request of our community for an independent Hungarian faculty within the University is not irrational at all. Especially in the light of the fact that the English faculty has been just founded now. I think this decision of the University leadership, which is not followed by the foundation of the Hungarian faculty as well, tells a lot about the leadership’s attitude towards us, Transylvanian Hungarians. This is simply humiliating for us.” – says Benedek, the oldest Hungarian member of the University Senate. Sharp conflict arose eight years ago, in 2011 between the Romanian leaders of the state-owned University and the Hungarian Department, when the University Leadership did not put into force some of the regulations of the new Educational Act – which would be important from the Hungarian perspective – referring to its institutional autonomy. 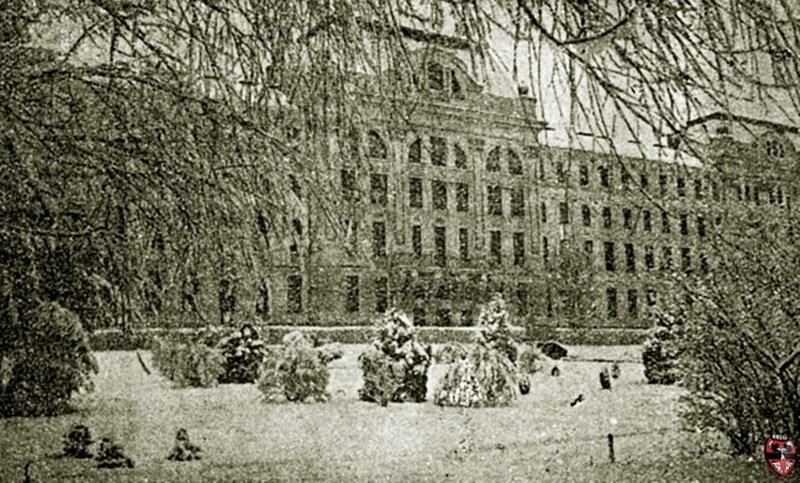 1945: the year when the medical faculty of the János Bolyai University from Kolozsvár/Cluj moved to Marosvásárhely, to the building of the ex-Midshipman School, originally built in 1907-1908. The Medical University of Marosvásárhely was founded by a royal decree in 1945 as an institution where the teaching was exclusively in Hungarian. Romanian-language education was introduced seventeen years later in 1962, following a verbal instruction of the Communist Party leadership, and since then Hungarian medical training has been gradually overshadowed. During recent years the University leadership has been operating with a two-thirds Romanian majority and aiming to atrophy the Hungarian Department. Last September the Hungarian Department – seeing as the last possible way left to protest – decided that its leaders will boycott the work of the leading boards until a suitable decision will be made about the conditions of the Hungarian language training at the University. This has remained the Hungarian professors’ last resort against a University leadership which constantly ignores their position.